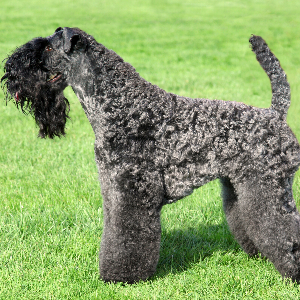 Active, spirited, and intelligent dogs, liking swimming and jogging. 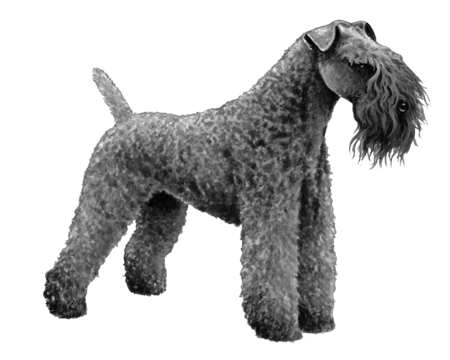 Enjoy dog sports such as agility, earthdog trials, flyball, herding, hiking, retrieving, tracking, Frisbee, musical freestyle, rally and competitive obedience. 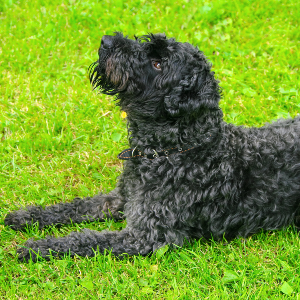 May be stubborn, but respond well to reward-based training approaches, using food rewards for dropping retrieved items not intended for play. 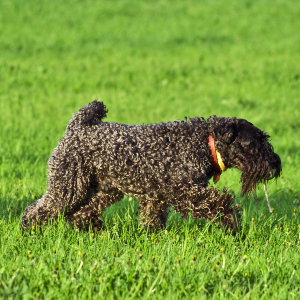 May chase or hunt wildlife, be difficult to disengage from an activity or behavior, bark, dig; may not get along with other dogs. 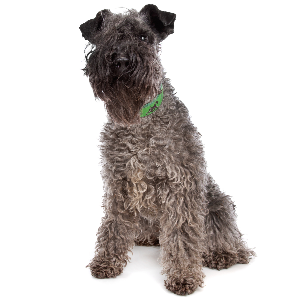 This spirited and gentle breed is the national dog of Ireland. 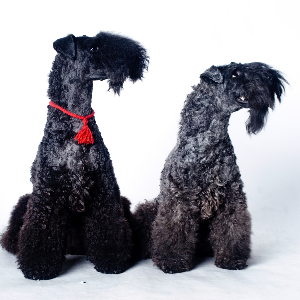 Kerry Blue Terriers were first shown in 1916 and were recognized by the American Kennel Club in 1924. Their history, however, remains shrouded in mystery and is the subject of many local legends. First up, there’s the one about peasants starting the breed so they could use them for poaching (back then, only nobility were permitted to hunt). Whatever the truth, what we do know for sure is that, when it comes to faithfulness and friendliness, these dogs are legendary.